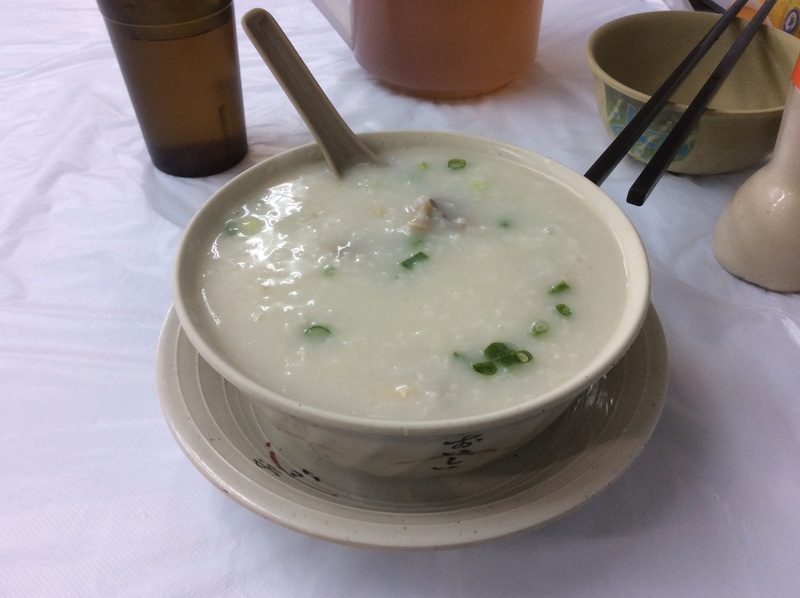 In a section of the world where there is more rice than oats, congee is the gruel-like equivalent to oatmeal although since you can also eat it for dinner it's also similar to a thick soup. 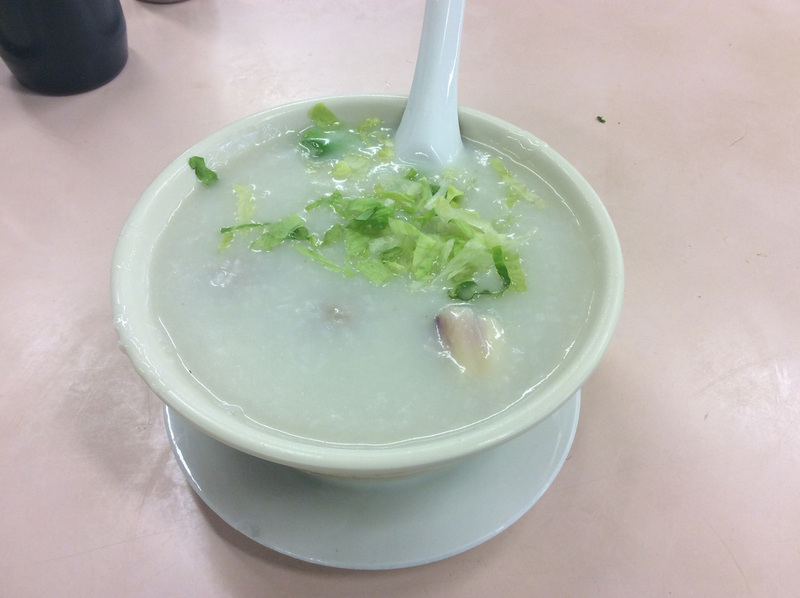 At the best congee restaurants, the plain rice is good alone, however, it's common to add a meat or a few vegetables to the dish for additional flavor. 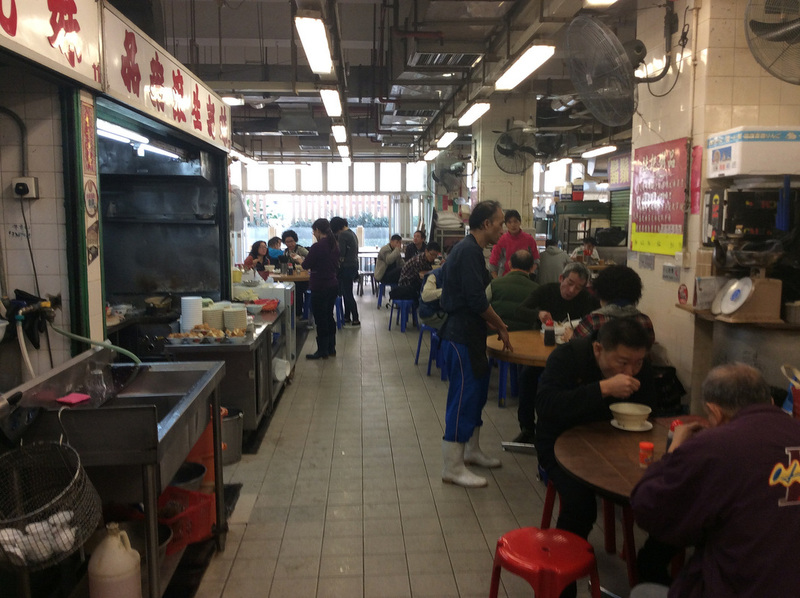 If you are in Sha Tin and particularly Tai Wai village area this is a good place to stop. The congee has a strong taste and I was full from that before eating the Chicken. 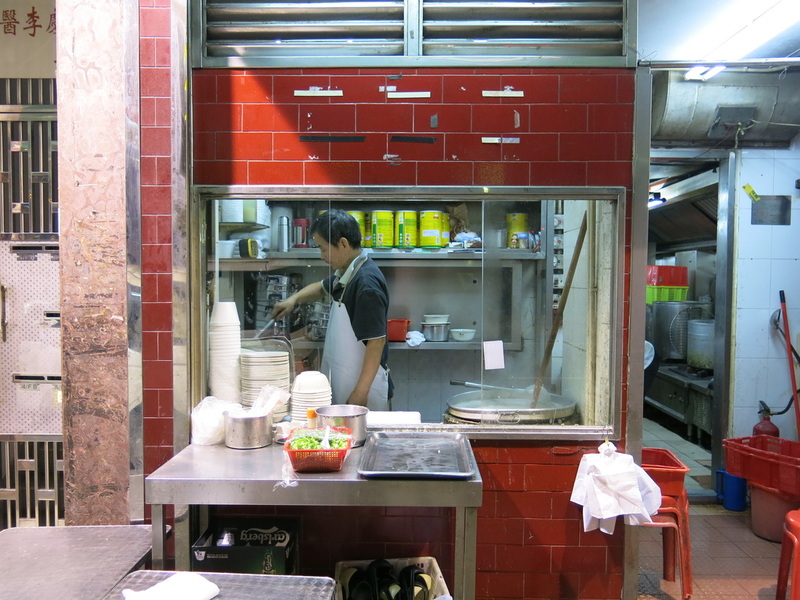 One of the highest rated Congee shops on Open Rice, I thought this place was a notch below Sha Tin Chicken Congee. The congee was a bit more liquidy and the pork balls did not add much flavor. A followed the lead of others and added pepper which helped to enhance the meal.